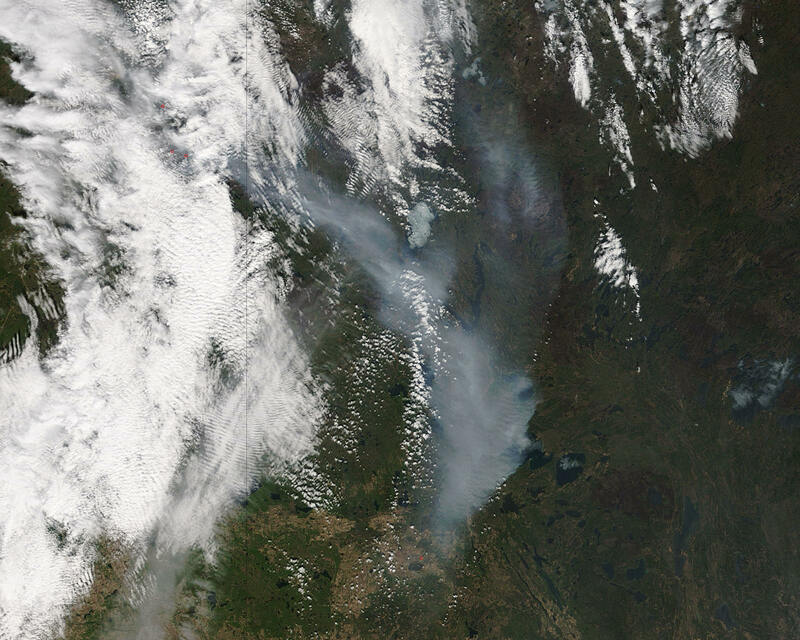 Aerial image of the Fort McMurray wildfires. Photo credit: Nasa’s Marshall Space Flight Center via Flickr. The devastating wildfires in Canada`s tar sands heartland, Fort McMurray, Alberta, did according to local information and scientists create 80,000 climate refugees overnight. It is allegedly the largest wildfire evacuation in history in the area. The wildfires that erupted earlier this month, have already been blamed on climate change. The meteorologist Eric Holthaus, writing in Slate, proclaimed: ‘This Is Climate Change’. The climatologist Paul Beckwith expressed similar views and said that the dry conditions, which had made the wildfire possible, are being brought on by climate change. He also pointed out that, ironically, a large share of the inhabitants of Fort McMurray are workers in the tar sands industry. The extraction and burning of oil from the tar sands is believed to produce one of the dirtiest fossil fuels around. It has a far higher CO2 output than conventional crude oil. While literally a whole town has had to be evacuated, fortunately, and quite remarkably the fires have not cost any lives. The wildfires broke out two Sundays ago. But they were actually put under control. But then windy conditions overwhelmed the firefighters, causing the fire to spread out of control. During the last weekend, the wildfire grew even larger, and it allegedly grew to three times the size of the city of Edmonton. In this above video, the remarkable footage shows a reporter describing events, but it is the background you want to pay attention to, where the scale of the wildfires is revealed. The, tar sands production plants were declared safe, but production was cut and staff evacuated. There was worry that the fire could threaten the nearby refineries and the oil production infrastructure. But now the oil production are slowly starting to restart. The first priority was to ensure safety and get people evacuated, as well as getting the fire under control. But an uncomfortable calculation of the cost will now follow. This could very well be bad news for the tar sands industry, which already is suffering from a low oil price. Then we can be sure that the connections between climate change and wildfires, which already have been made, will continue. And more pressure will be put on Prime Minister, Justin Trudeau, to tackle climate change. Since Trudeau was elected Prime Minister, Canada has been taking in a large number of Syrian refugees. But Canada is now producing its own refugees, due to the impacts of climate change. ← Analysis: What will the impact of the Paris Agreement on Climate Change be for the motor industry?